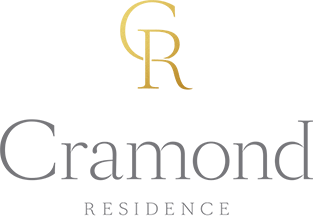 We have many visitors coming through our door at Cramond Residence. 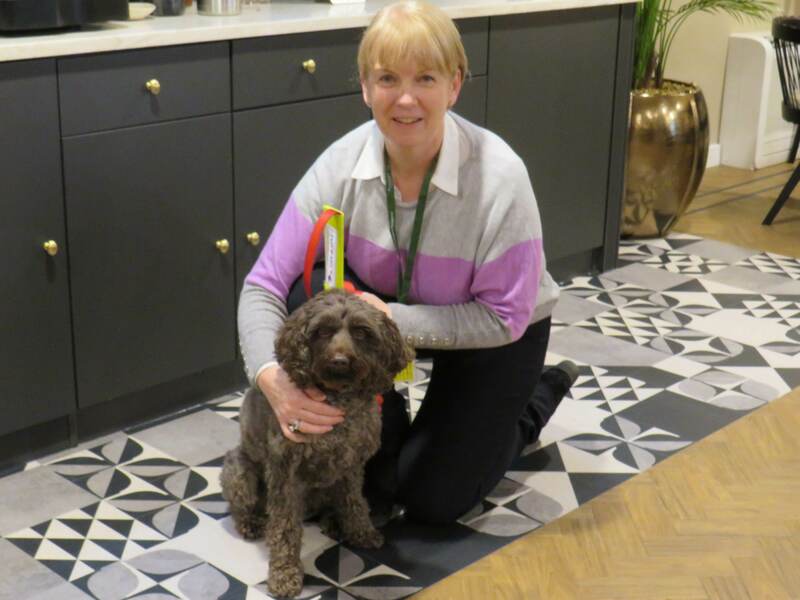 Now we have a new extra special guest who comes to say hello at our care home in Edinburgh – our therapet! Toffee is Cramond Residence’s Therapet, and is a chocolate brown Labradoodle: a cross between a Labrador and a Poodle. This special breed is considered to be allergy friendly for people. For those who are staying at Cramond Residence for nursing, respite or dementia care, Toffee the Therapet is a delightful visitor and we feel very lucky to welcome him, and his owner Miriam, once a week. He is always up for lots of cuddles from our lovely residents. Toffee’s owner Miriam said: “Toffee’s chocolate brown eyes talk to you and melt your heart! Toffee has the nature of a gorgeous, placid Labrador who does not shed a single hair from her Poodle genes. “Toffee became a Therapet over a year ago. He passed his training with flying colours as he loves people and loves being stroked and made a fuss of! Toffee will be celebrating his 5th birthday in April and is thrilled to be Cramond Residence’s Therapet”. Toffee regularly spends the afternoon getting to know everyone at the Residence. We can’t wait for our next visit from our new four-legged friend.